After a four month hiatus, I present you with volume 4 of “Internetersting”! Because I didn’t want to call it “Five Things Friday” like everyone else (plus, today is Thursday), here’s a quick post full of Interesting – Internet things we’ve been talking about over here. (We, as in, me and the cats. Great listeners, horrible conversation contributors. The perks of working from home…) No sponsored content, no ulterior motives, just things I felt like sharing. 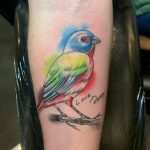 1) I forgot to tell this little blog here “Happy Anniversary”. 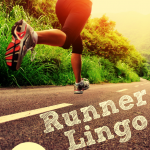 The very first post, on what was then “Run Faster, Mommy!” was written on March 10, 2009. Six years ago. Had I known back then what I know today about the blogging world, I probably would have done things very differently right from the start. Maybe I’d be running the Run Faster, Mommy! empire today. Alas, as some philosopher, or at least Pinterest motivational pin designer surely said, there is no such thing as regrets, only lessons learned, and I am full of lessons learned when it comes to blogging. Six years later I’m still thankful for (and amazed at) all of the wonderful opportunities that have come my way thanks to this blog. So, happy anniversary, outlet for my ramblings. Here’s to many more years to come. Maybe one day I’ll be reviewing the best adhesive for holding up my dentures during a 48 hour ultra Hoveround senior scooter race. You will make history at this inaugural event. You will see Atlanta in a way few ever have. These details could be said for any race. There is however, a helpful video on the facebook group page where race director Matt warns you to watch out for trains because they do cross the course, and he doesn’t want any of his participants to die. Thanks Matt! Registration is under $30, so if you are up for a mystery adventure, come join us. Yes, us. The fact that I still can’t figure out what is going on, despite numerous attempts to make Matt explain this race to me in full detail (to no avail), is enough to make me want to give it a try. 3) I read two very interesting pieces, coincidentally on the same day, that really hit home. The first of them was by my friend Margaret of Dirt in Your Skirt. 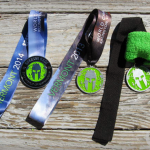 In “The Dark Side of OCR – When Hobby Turns Obsession” Margaret tackles the ever so sensitive topic, yet increasing problem, of athletes becoming addicted to their sport. 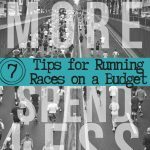 While Margaret talks specifically about obstacle racing, this post could be about any sport; running, triathlon, even simply spending time in the gym. Indeed, this is not the first time the topic has been broached. Google “Triathlon Divorce Rates” and you’ll be shocked at how many articles you can find. Endurance sports can indeed become addictive, and the desire to train all of the time, or the FOMO (fear of missing out) can be a real struggle. Albeit a first world problem, but a struggle none the less that often tear relationships apart. 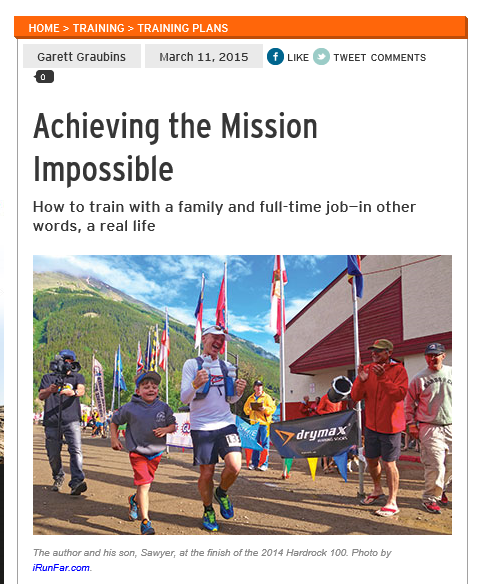 4) The second piece relating to the same topic, is “Achieving the Mission Impossible“, published on TrailRunnerMag.com, describes how author Garett Graubins trained for the Hardrock 100 while balancing a full time job and maintaining a strong relationship with his family. In other words, as the title says training in “real life”. The issue at hand in both Margaret’s article and Garrett’s piece both boil down to the same thing: finding that elusive family-work-training balance. While I have seen (and experienced personally) people go overboard with racing, I’ve seen others completely give up a sport, something they love dearly, because it causes tension among their loved ones. I find both instances to be unhealthy. While Garret’s article isn’t necessarily realistic for many (it’s unlikely that many would survive an incredibly hard 100 mile ultra on only 45 miles of training per week) it is a fantastic example that proves racing, specifically longer distances, and work/family balance can be acheived. 5) Lastly, we have things like this, which in opinion, contribute to the issue we have in bullet point #3 above. Videos like this make me want to drop everything, let my wanderlust take over, and run the world…. Happy Anniversary! Here’s to many more years of sharing your unique perspective on life and fitness!! I’m so glad to have connected with you this year! You DO find some interesting things out there. Thanks for sharing them, too. I always wonder how those athletes who are so dedicated manage to have families that stay behind them. It was hard when I was marathon training for my husband and I to give up our lazy Saturdays together but he knew it was important to me and it wasn’t forever. (Fortunately I did not become addcited, I became injured and gave up on running long distance). But it’s true of every hobby….my husband is getting sucked into more and more guitar playing and it is driving me crazy! It’s an honest discussion that I think each family has to work through…when is a hobby a hobby and when does it take over your life? Happy blogiversary! Here’s to another six years of blogging! Happy blogiversary! We are both 6-year veterans on that front. My how different things were back in the day! Happy anniversary! I’m pretty sure I found your blog right after you started. Crazy! Interesting reads! My husband sent me the Mission Impossible article not too long ago. Seriously inspired when I felt frustrated with trying to find a balance. Happy anniversary. 6 years wow! That’s a long time to be blogging already. I’ve only been at it for a little over a year and can’t believe how much I’ve learned since the beginning. Happy anniversary to you and your blog! I love reading your posts!